rders are fulfilled and shipped within two (2) business days of purchase from our Michigan warehouse, but our business offices are located in Canada. All prices are in USD. Orders shipped during holiday times may experience longer than average shipping times. 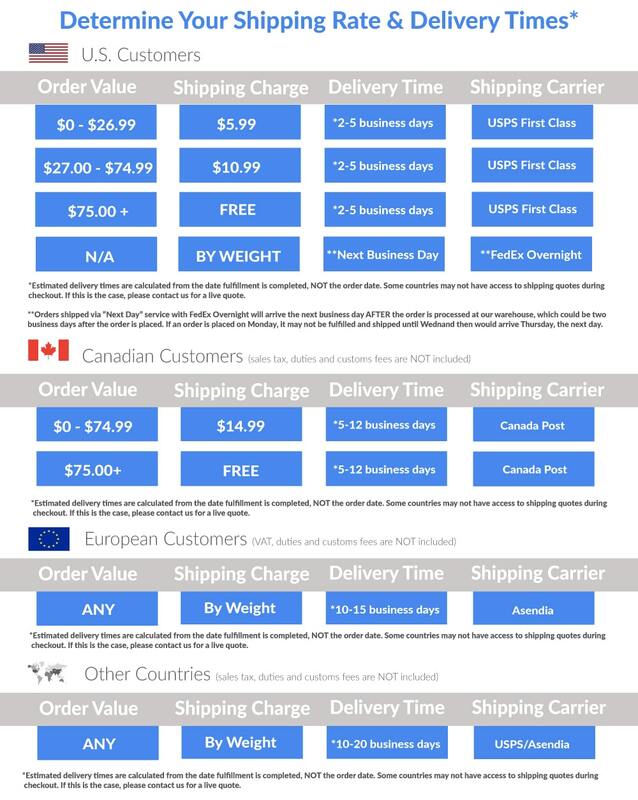 Note to Canadian and International Customers: You are responsible for any sales tax, VAT, duties, tariffs, and/or customs brokerage fees your order may acquire when it arrives in your country. Orders may experience shipping delays if inspected by customs.